As Trump and the Republican establishment square off to fight over the future of GOP foreign policy these next two years, Senate Foreign Relations Committee Chairman James Risch is set to be a key arbitrator. At the center of the battle over the Trump administration’s foreign policy now sits a soft-spoken President Donald Trump ally from Idaho whose foreign policy ideology doesn’t fit any traditional label. But newly minted Senate Foreign Relations Committee Chairman James Risch is positioning himself as a referee with significant power. Now with five former GOP presidential candidates, including new members Mitt Romney, R-Utah, Ted Cruz, R-Texas, and Lindsey Graham, R-S.C., the Senate Foreign Relations Committee is set to be the premier platform in the internal Republican foreign policy battle as well as the fight over President Trump’s national security policy writ large. Everyone wants to know how Risch will use his perch to influence the future of Republican and U.S. foreign policy. In a long interview in his office, I asked Risch to characterize his foreign policy philosophy. Is he a Jacksonian like Sen. Tom Cotton, R-Ark., a Jeffersonian like Sen. Rand Paul, R-Ky., a “nationalist” like Trump, a neoconservative like Vice President Mike Pence, or a conservative hawk like national security adviser John Bolton and Secretary of State Mike Pompeo? That means Risch won’t preemptively take sides in the many fights to come between Trump and his GOP committee members. He’s going to evaluate the issues on a case-by-case basis but empower his members to say and do what they feel is important. Risch’s “transactional” nature does not imply a lack of foreign policy principles; they just don’t fall in line with a particular camp. On some issues, he agrees with traditional Republican foreign policy values. He told me he is a strong supporter of alliances, specifically NATO, which he said must be preserved because it’s working. Hailing from a state heavy with agricultural exporters, he is a believer in free trade and open markets. But like Trump, Risch is skeptical of open-ended U.S. military interventions abroad and believes the use of U.S. power should be refocused on securing U.S. interests rather than nation-building abroad. Part of Risch’s strategy to restore the relevance of the committee and to accommodate his members is to elevate the role of the subcommittees, giving them more support to hold hearings and craft legislation on a range of issues. The effects of this approach should be at their most visible in the case of China, which will be one of the committee’s top priorities. 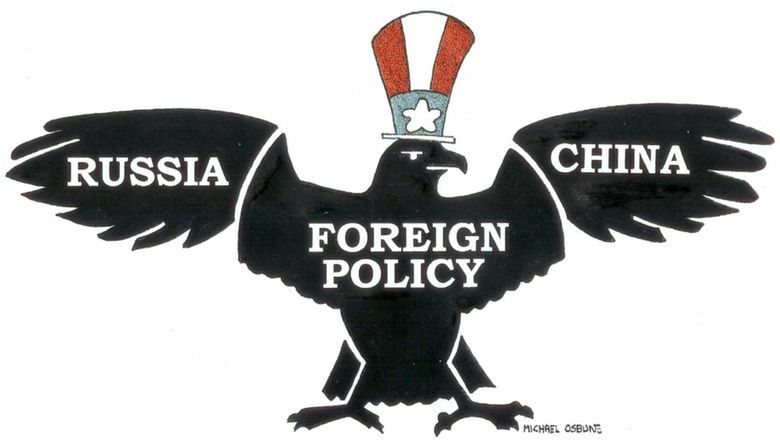 “China is a much more significant challenge to our standing in the world militarily, economically, culturally, every way you can think of, than Russia is,” Risch said. Risch has been personally involved in the fight against Chinese economic aggression. According to the Justice Department, a state-connected Chinese technology firm illegally robbed Idaho-based chipmaker Micron Technology of its intellectual property. Risch is determined his committee will expose and address all aspects of bad behavior from the Chinese government, from economic espionage to the South China Sea. Risch’s House counterpart, Rep. Eliot Engel, D-N.Y., told me in November that he will investigate all aspects of the Trump administration’s foreign policy, including on Russia, the Trump Organization’s foreign interests and the murder of Post contributing columnist Jamal Khashoggi in the Saudi Consulate in Istanbul. Risch said he will not shy away from oversight but won’t take his directions from the House, either. At the same time, he intends to maintain a close and confidential relationship with Trump, whom he talks to often. To the chagrin of many in Washington, Risch refuses to criticize or often even react to Trump’s erratic or erroneous statements on foreign policy. He believes it’s not constructive, and he also thinks the media is failing to acknowledge Trump’s foreign policy successes, such as on North Korea. As Trump and the Republican establishment square off to fight over the future of GOP foreign policy these next two years, Risch is set to be a key arbitrator. Also, his balance between traditional Republican foreign policy values and more Trumpian instincts could be the middle ground where the party ultimately ends up. But Risch’s long-term influence will be measured by the committee’s output, its ability to legislate, the quality of its products on China and the other serious issues facing our country. And so begins Chairman Risch’s attempt to make the Senate Foreign Relations Committee great again.